After attending the Toshiba Convention (which I blogged about in Moving Into a Smart Future), my living room had a void that I didn’t realize before. The husband and I do actually watch some series on our computer when we both have some free time together. I really wanted that TV! If you don’t know, I’m talking about the Toshiba’s L9450, the 84 inch Ultra HD 4K TV with Android which they launched at the convention. 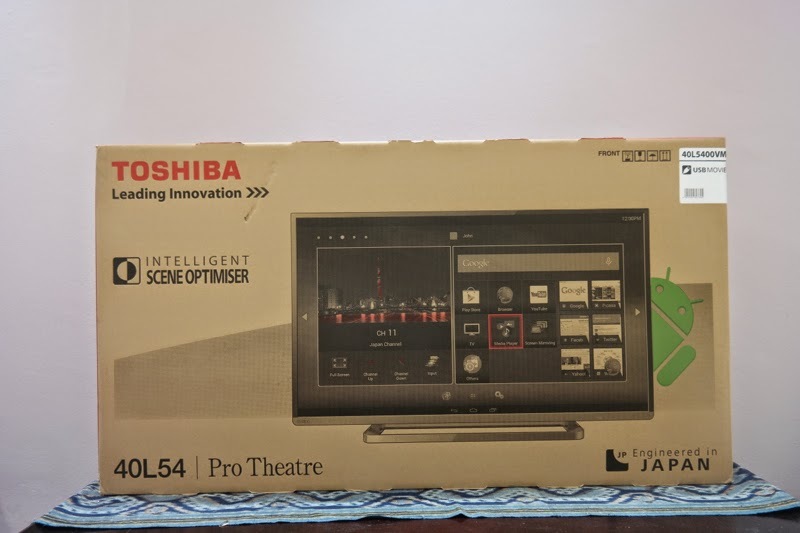 So, it came as a big surprise to me when Toshiba chose me to review their TV! I was stunned. 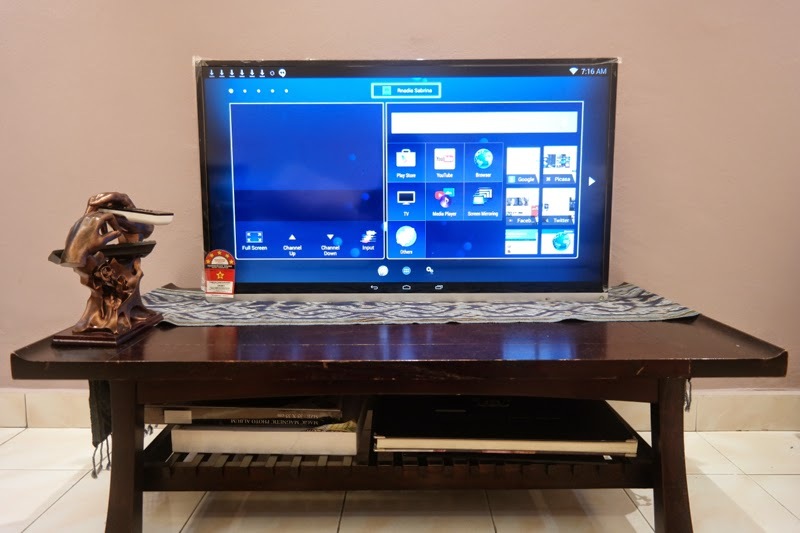 Though the unit that I reviewed was of the L5400 series LED TV with Android, I was as excited when I came home and the TV was in the living room. We quickly and carefully unboxed the TV. And lo and behold, there it was. The Toshiba TV was big and beautiful. It was crisp. It started up just like an android phone would. There was basically two modes: TV and android. The android menu was quite extensive. They had a browser mode, youtube, facebook, etc. Wifi connection was seamless and there were no issues of the Wifi connection dropping at all. I logged on the TV using my gmail, and the information on my phone was basically transferred to the TV. 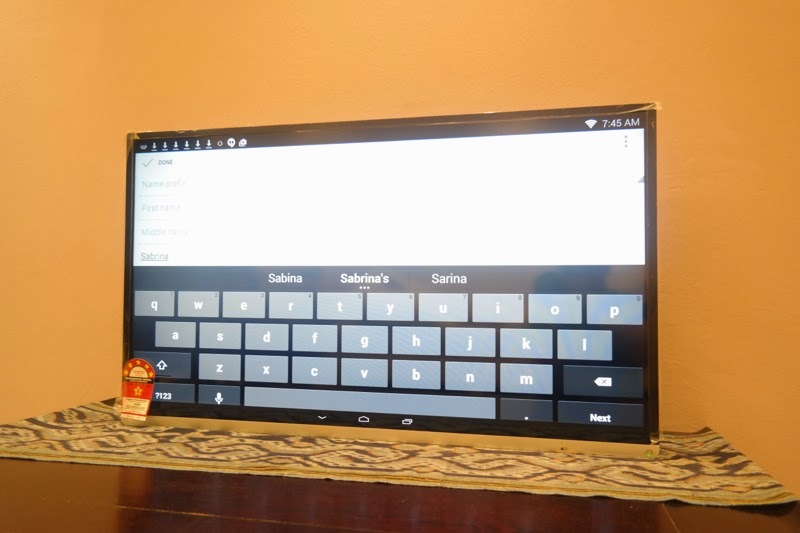 It truly is a connected world with the Toshiba L5400 LED TV with Android. Personally, I really loved watching the Youtube channel. I liked how the TV would automatically play the next video once you’re done with the first video. So in the mornings when I’m getting ready for work, I’ll just crank up a youtube video that gets the mood going. I also used the browser feature to stream the tv series that we both love to watch. My husband also used the TV to live stream his favourite team Tottenham Hotspur lose (I think they lost last weekend) in big, crisp, HD detail. Hehe. No, I don’t watch football. 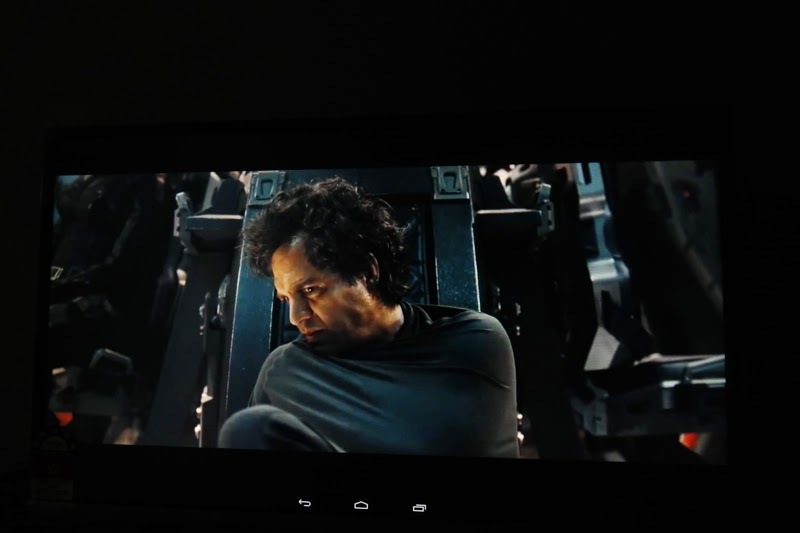 I actually came home and found him using the browser menu to read news articles, comics, and basically everything he would normally do on a computer on the TV. When I asked him why he didn’t just do it on his computer, he said he liked the super huge screen and the quality of the display. The TV comes with two remote controls. 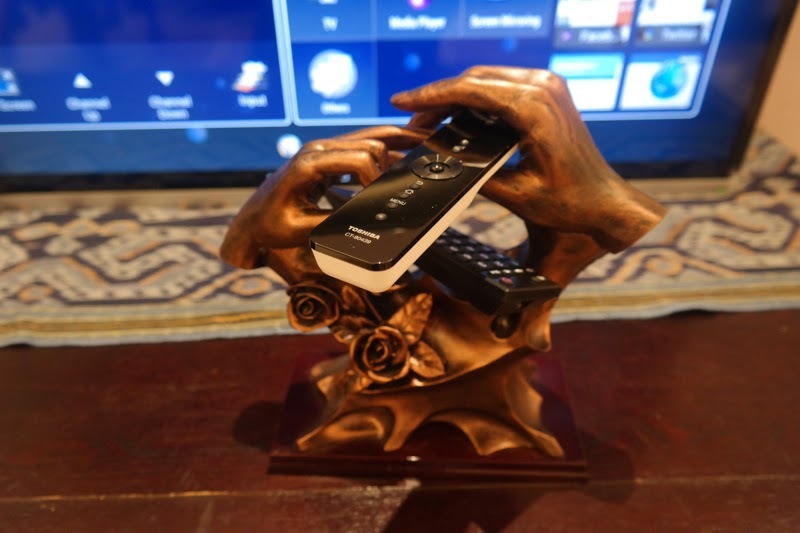 There’s your normal and standard remote control, and it also comes with another smart remote control that has a mini-joystick thingy to be used as a scrolling feature and acts like your mouse to navigate the huge screen. It was an excellent idea and the navigation button was quite responsive. 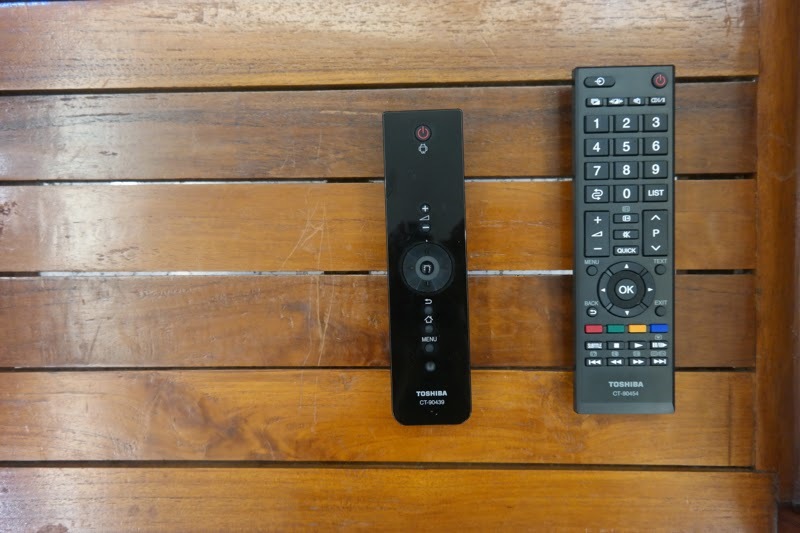 The smart remote control also has convenient home and back buttons. It’s just like any smart phone. The sounds were also very sharp and precise. Everything could be heard clearly and smoothly. They also have an audio filtering function that helps to filter out noise coming from the source. I just loved using the TV and got used to having it. It was very user-friendly and definitely a must-have for entertainment. 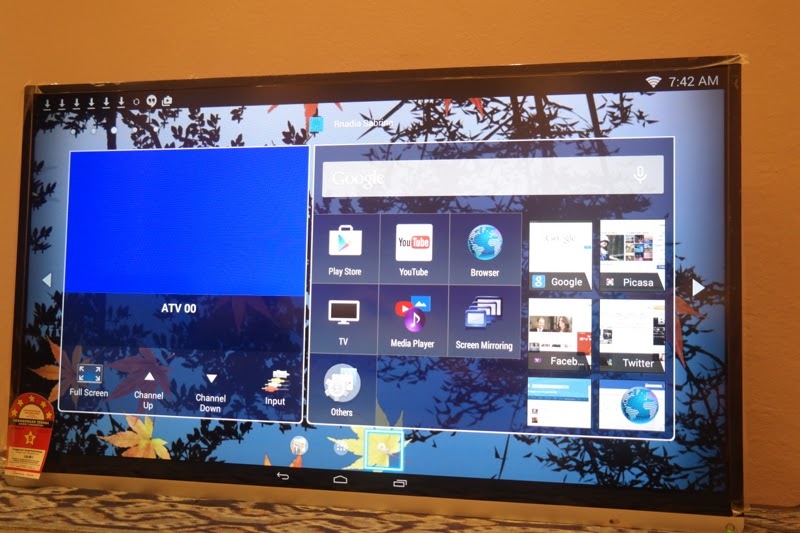 Previously, I thought that it wasn’t such a big deal not having a TV, but Toshiba’s L5400 LED TV with Android has managed to change my mind. I’m not sure if Toshiba has released the TV and the pricing yet, but I’m very curious to find out. I’m not sure if I’ll be able to afford it, but having a goal lets us have a focus to go out and achieve it! 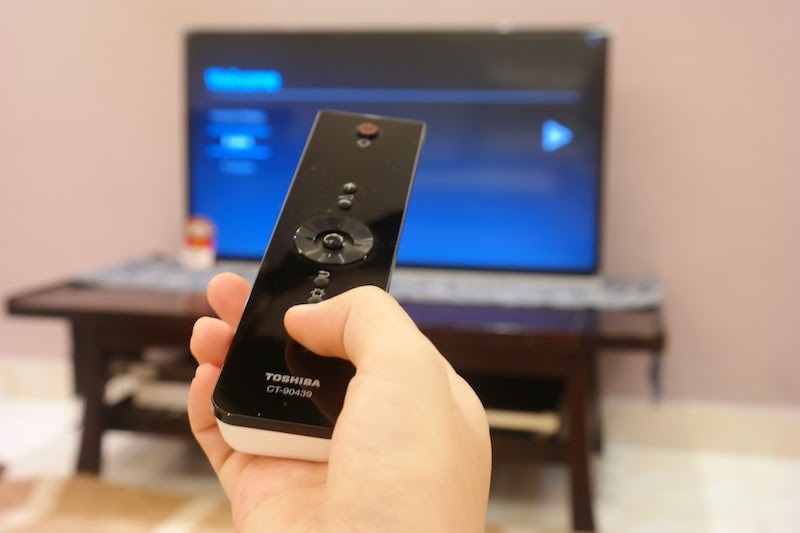 Now that the review is over, our lives are just not quite the same anymore without the TV. So hang in there, hole in my living room, while I try to fill you up with Toshiba’s L5400 LED TV with Android.